Each of the frames in Warframe aren’t terribly complex to understand. They all move in basically the same way and have four unique abilities. There are many different frame types, which are basically character classes that you can swap between them at any point; assuming you’ve unlocked them first, but they can also be tweaked further with mods. This is of course not counting the various Prime versions. In this guide, we will walk you through the basics of acquiring your first Warframes, as well as teach the basics to getting the most out of equipping Warframe mods. Written by Dave Irwin & Taylor Cocke. Warframes are essentially like character classes in other games, meaning that in order to augment your abilities to get the most out of them, you’ll need to equip mods to improve certain aspects of that character. These could increase mobility, reduce the cost to activate abilities, or increase your range – among many others. There’s certainly a lot more to Warframe itself that’s worth delving into, but it may be somewhat intimidating going in blind. If you get stuck, you can always head back over to our main Warframe guide for everything else you need to know about Digital Extreme’s loot shooter. So how do you go about getting Warframes in the first place? Well, Warframes require a lot of work to unlock (assuming you don’t just outright buy them). Which makes sense, considering it’s basically like getting a brand new character every time you pick one up. During your early hours in Warframe, you’ll be mostly be getting new Frames by way of bosses. Each planet has its own Assassination boss (some have more than one), and most of those bosses have a chance to drop one of the three Warframe components: Neuroptics, Chassis, and Systems. Typically, the chance of those three dropping are in descending order. So, Neuroptics have a higher chance than Systems to drop. Once you’ve got all three parts, you can (usually) buy the Blueprints to put them all together in the Market. Then, it’s time to build! To obtain the blueprint, you’ll need to complete Nakak’s mini-quest that is unlocked upon reaching “Observer” rank with the Quillis. Talking to her will enable you to buy the “Mask of the Lost One” for the price of one Cetus Wisp. Equipping this mask and entering the Plains of Eidolon during nighttime will start the quest. Following the white waypoint towards the south-west of Gara Toht Lake, a spectral being will vanish. After a few more visions, such as a small hand reaching out of some energy, Nakak will receive visions before asking the player to rebuild what she dubs “the lost one”. After initiating a bounty and rebuilding part of the Revenant warframe, you’ll be asked to return once again to the Plains of Eidolon at night with the mask. This time it’ll point to the north-east of Gara Toht Lake. Interact with the energy you find there and Nakak will have another vision. Rebuild another part of the warframe with the bounties, becfore returning once more at night. The final energy can be found between Gara Toht Lake and Renthi Spring on a river. You’ll be dragged into the energy portal by a hand and will need to defeat the spectre. Doing so will reward you with the blueprint for the Revenant Warframe, meaning that you only need to acquire one more part of the Revenant Warframe and the relevant parts to make it. Below are the components you’ll need. Convert a target into a thrall. Thralls turn traitor on their allies. If a thrall is killed, they disintegrate into a pillar of energy that deals damage for ten seconds. The thralls remain influenced by this ability until the duration expires. Up to a maximum of seven thralls can be active at once. The Revenant becomes enveloped in Sentient energy, redirecting damage and stunning any attackers. Stunned enemies are able to be enthralled at no cost to energy. The Revenant dashes through enemies, draining any shields and health from those it hits. Restorative properties are enhanced for thralls. The revenant fires nine energy beams that sweep in an area of 50 metres around it. Beams modify damage to select target defences. Incoming damage is redirected back into the beams. Holding fire boosts status effects and damage at the cost of increased energy consumption. Any thralls under your influence that are killed by this ability leave overshield pickups worth 50 points. Time to make & rush cost. Some frames require relatively specific conditions to be met in order to obtain the relevant blueprints, such as defeating a boss, completing bounties, or finishing certain quests. Due to the number of frames currently in the game, the first ten alphabetically are displayed. In order to find the frame you want to know more about, please use the search function and type the name of the frame you wish to know where the various blueprints drop. This list will be updated as and when new frames are introduced into the game. Mirage Rewards for each mission of the Hidden Messages quest. Previously awarded components must be built to obtain the subsequent components. Rewards for each mission of the Hidden Messages quest. Previously awarded components must be built to obtain the subsequent components. Rewards for each mission of the Hidden Messages quest. Previously awarded components must be built to obtain the subsequent components. Rewards for each mission of the Hidden Messages quest. Previously awarded components must be built to obtain the subsequent components. Nyx Phorid assassination missions during an "Infested Invasion" Phorid assassination missions during an "Infested Invasion" Phorid assassination missions during an "Infested Invasion" Phorid assassination missions during an "Infested Invasion"
Octavia Octavia's Anthem quest reward Rotation C of Orokin Derelict Survival Lua music puzzle A rotation cache of Lua Crossfire missions. Revenant Complete Nakak's mini-quest "Mask of the Lost One" - requires Observer rank with The Quills to begin. Complete Nakak's mini-quest "Mask of the Lost One" - requires Observer rank with The Quills to begin. Complete Nakak's mini-quest "Mask of the Lost One" - requires Observer rank with The Quills to begin. Complete Nakak's mini-quest "Mask of the Lost One" - requires Observer rank with The Quills to begin. Titania The Silver Grove quest reward - obtained from New Loka leader at any relay. The Silver Grove quest reward - obtained from New Loka leader at any relay. The Silver Grove quest reward - obtained from New Loka leader at any relay. The Silver Grove quest reward - obtained from New Loka leader at any relay. Once you’ve got a Warframe under your belt, it’s time to start levelling it up. All new Frames start at level 1, going all the way up to level 30. As you rank up your Frames, you’ll be able to put more and more Mods into them, and that’s where things start to get complicated. Warframe Mods can do a whole lot of stuff, like increasing their tankiness, their speed, the strength and duration of their powers, and a whole bunch of other stuff. Most of the time, you’re going to want to be improving on the things that Frames already do well. Let’s take Rhino for example – one of the oldest Warframes and one you’ll likely get early in your play time. Naturally, Rhino is one of the tankiest Frames in the game. So, you’ll want to make him even tankier. He’s one of the few Warframes with enough natural Armor to take advantage of the Steel Fiber Mod, which increases your Armor by a percentage based on the Mod level. You’ll be wanting to use his second ability Iron Skin a lot, gives him a massive damage buffer based on how much Armor he has; another reason why Steel Fiber is good. You can check our introductory guide to Warframe damage types for more on this. But to cast it regularly, you’ll want to have Streamline (which reduces his abilities’ costs) and Intensify (which makes all of his abilities stronger). From there, you can toy around with other min-maxing opportunities. Or let’s look at Ember, another early Frame and popular low-level DPS option. Most of Ember’s damage comes from her fourth ability – World on Fire, which does damage over time to enemies within range. Of course, you’re going to want to slot in mods that increase that damage as much as possible (Intensify and Transient Fortitude are popular), increase its range (Stretch and Augur Reach), reduce its cost so it can stay on near permanently (Streamline), and give her as much Energy as possible to keep it on (Flow). Equipping mods that let her get around the map as quickly as possible are always welcome, but not necessary. Of course, to make sure you can fit all those Mods into a single Frame, you’re going to have to do some work. Installing an Orokin Reactor doubles the Capacity so you can slide Mods in, while Aura Mods refund some of your Capacity. What’s more, putting a Mod into a slot with its corresponding Polarity will halve the Capacity cost of said Mod. The tricks of the Warframe trade are taking advantage of every last bit of possible Capacity to get your Frames to their strongest state. Formas help to do that, as well. Once a frame reaches level 30, you can spend a Forma in order to change the Polarity of a slot, even giving slots Polarity that didn’t have it before. You can do this as many times as you want, however every time comes at the cost of dropping the Warframe all the way back to level 1. If you want to add Polarity multiple times to a Frame, be ready to level it over and over again. It’s a process, and a long one. If you’re baffled as to how to Mod your Frames, head over to the Warframe Builder page, where players can show off their builds, the most popular of which rise to the top. It’s an invaluable resource for learning how to build out your favourite Frames. What are Warframe’s Riven mods? Riven mods are special mods that have randomised stats. You’ll need to complete the quest “The War Within” to obtain your first one. You’ll then only be able to obtain Riven mods by completing sorties. Upon first receiving the mod, the stats will be hidden, and the mod considered “veiled” as a result. In fact, all that you’ll be able to gleam from this is the weapon type that it can be attached to. The other thing you’ll be able to see is a challenge you’ll need to complete in order to “unveil” the mod. These will always be listed on the mod itself and can be anything from killing a certain number of enemies while hidden, or killing enemies in a particular way. So what happens when you unlock it? Well the stats will then be rolled for the weapon, with up to four in total. Some stats are negative to counterbalance the more positive ones. You’ll also see if it is to be attached to a specific weapon. Sometimes the stats will be awful, so thankfully you can re-roll them by spending Kuva – a Grineer resource obtained by killing Kuva Guardians spawning on higher level Grineer maps. You can also spend four unveiled Riven mods via a Riven transmuter (dropped by the Hydrolyst Eidolon in the Plains of Eidolon) to turn them into one veiled Riven mod. Should you wish to dabble into the more powerful Prime Frames or indeed tinker with Prime weapons and the like, be sure to check out the Warframe Prime Relics guide to get started. Alternatively, you can also look at our guide to farming materials in Warframe if you’re looking for credits or things to upgrade your Warframe Mods. 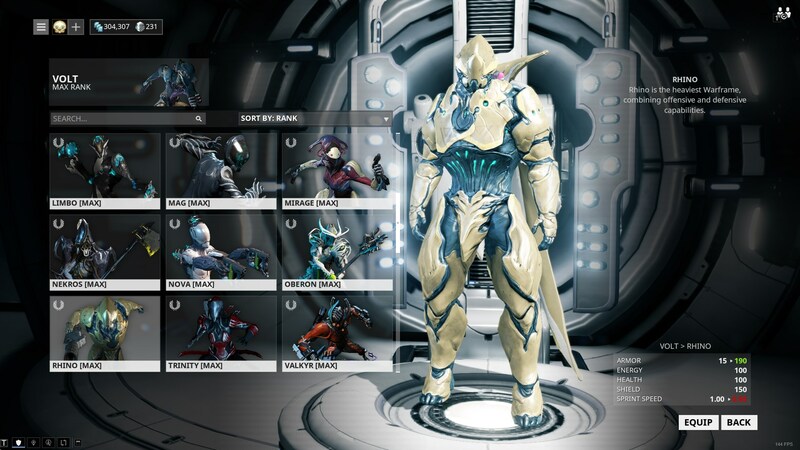 We’ve also created a dedicated guide on the newest frame: The Garuda. Tagged with Digital Extremes, feature, Warframe.